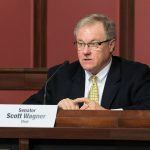 A new Pennsylvania budget projection relies on online gambling to pull its weight. The only problem? Internet gaming has yet to be approved in the Keystone State. 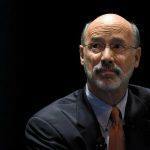 Pennsylvania Governor Tom Wolf has set forth his proposal for balancing the state’s mighty budget deficit, and that’s no mean feat. According to some estimates, the shortfall is approaching $3 billion. The good news is that his budget proposal for the 2017-18 fiscal year factors in $150 million in extra gambling revenues. This would appear to be a reference to a gambling expansion package that includes the legalization of online gambling, which the governor must expect will pass. Before players get too excited, however, they’d do well to remember that revenues from this gambling expansion package were also factored into the 2016-17 budget plan, which did not pass. There’s still time to make it happen before the end of the fiscal year. Another reason to be cautious is that Wolf’s proposal is not set in stone. It’s down to the legislature to chop and choose from the plan, until it reaches agreement, hopefully by the beginning of July, and there’s a chance online gambling could get left behind. It has not always been easy for Pennsylvania’s lawmakers to reach accord on a budget plan. The 2015-16 budget was nine months late, as Republicans, who hold big majorities in both chambers, rejected their Democrat governor’s plan, demanding instead a solution that could cut the deficit without raising taxes. This was a political environment, however, that helped the legislative push for online gambling gain traction. 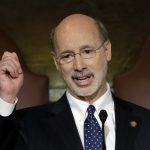 And this time around, Wolf has been mindful of the GOP’s wishes, and the word from Harrisburg is that the plan been received positively by most. 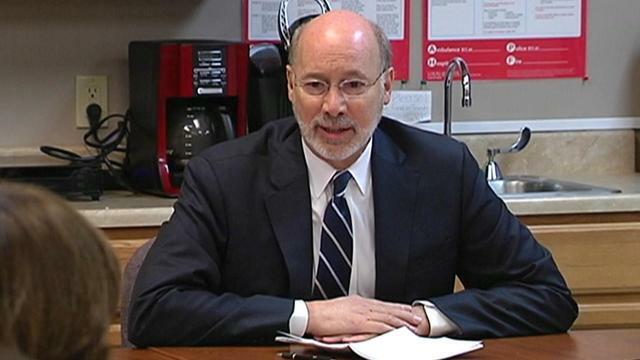 Addressing the legislature on Tuesday, Wolf said his plan involved “the largest cuts to, and consolidations of, government bureaucracy” in state history. 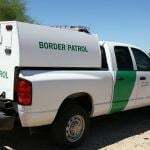 The $32.3 billion spending plan would be balanced by a mix of spending cuts and agency consolidations, plus a new tax on natural gas drilling and a $25-per-person fee in towns that rely on the state police for local policing. There would be no state income or sales tax hike. Wolf did not mention gambling in his speech at all, but the executive brief had this to say: “As part of the final 2016-17 Budget agreement, the legislature committed to enacting a gaming expansion proposal that would generate $100 million in the current fiscal year. Now it’s down to the legislature to approve a budget plan and pass one of the state’s imminent gambling expansion bills. History tells us this is easier said than done, and yet Pennsylvania remains the most likely state, by far, to regulate online gaming since New Jersey, Nevada, and Delaware took the plunge in 2013.